GSPK Circuits Ltd will maintain and adhere to a Business Management System that ensures our company remains profitable, efficient, safe to work for, environmentally friendly and that our customer expectations are surpassed. To supply first class products now and for the future on time and in full, and simultaneously support our customers in their efforts to maintain and increase efficiencies. To maintain the company’s registration to the applicable market sector International Standards by adhering to the policies and processes as described in the Business Management System. To continuously improve the Business Management System within GSPK Circuits Ltd, and the securing of our company’s future.  In order to achieve this we will provide adequate resources, including competent personnel, to meet the requirements of BS EN ISO 9001:2015, ISO/TS 16949:2015 and UL recognition. GSPK Circuits Ltd recognises the need to manage the impact of its processes and business on the environment. We are committed to reducing this environmental impact through a programme of continuous improvement. Consider the environmental aspects of all processes and/or materials, existing and new, and to apply best available techniques not entailing excess cost (BATNEEC), where appropriate, to help demonstrate our commitment to the prevention of pollution. Comply with all relevant laws, regulations and company policies. We will work to achieve whichever sets the highest standard. Consider the environmental policies of our suppliers when purchasing materials and to encourage the use of recycled and/or recyclable products where practicable. Monitor and measure all environmentally significant emissions and discharges to water, air and land to endeavour to minimise their environmental impact. Work to minimise the use of solvents, CFCs and ozone depleting substances. Purchase and manufacture with materials (where required by the customer) that comply with the European Parliament Directive 2002/95/EC (RoHS). Set and review environmental objectives and targets, as well as reviewing this policy on an annual basis.